Just like a computer, a brand new WordPress site feels super fast. But after using it for a while you will notice a slight decrease in speed and performance. Just like operating systems, your WordPress site also gathers clutter that could slow it down. However, you can easily fix this by fine tuning your WordPress site for speed and performance. In this post we will share x things that can help you speed up your WordPress site. Images are great for user engagement and they make your site look pretty. However, images are also very resource intensive. Typically, a web page spends most of the time downloading images. While your page is downloading images users are stuck waiting for page load to complete. This can seriously damage user experience. If you are using an image editing program like Photoshop, Gimp or an online editor like BeFunky to optimize and save your images for the web. Alternatively, you can use the EWWW Image Optimizer plugin. This powerful plugin will automatically optimize your images as you upload them to your WordPress site. Majority of WordPress sites are hosted on shared servers. This means that your website is sharing the same server resources with several other sites. When a user requests a page from your site, you are basically competing with all other sites hosted on the server for resources. Your server needs to run PHP process every time a visitor requests a page. This PHP process is heavy in its resource usage. By using a caching plugin you can limit these requests and show users a cached page instead. Combine cached page with gzip compression and you got yourself a super fast website. There are some really awesome WordPress caching plugins available for free. We recommend using W3 Total Cache. We have a beginners guide to setting up W3 Total Cache plugin that you will find helpful. There are several popular CDN service providers available like Cloudflare, Amazon Cloud Front, and MaxCDN. All of them can be easily configured to work with your WordPress caching plugin. Take a look at the advanced guide to W3 Total Cache. The real power of WordPress lies into the abundance of awesome plugins available for you to use on your site. These plugins can help you do anything you want on your site. However, one downside of using plugins is that sometimes they may load additional scripts and stylesheets. If you are not careful, soon your site will be loading several scripts, stylesheets, fonts, and whatnot. Each request to an additional resource increases your page load time. Keeping these requests to a minimum will help you improve your site’s page speed scores. 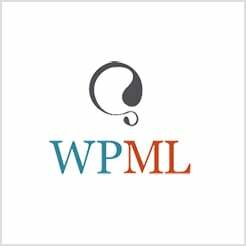 Many advanced WordPress users collect all the scripts loaded by the plugins installed on their site in one single script. However, this technique is difficult to apply. You can however make sure that you are not using plugins that are adding too many unnecessary scripts in your site’s header or footer. You can figure this out by looking at your site’s source code and locating requests to .js or .css files. WordPress shows full article on your site’s main page, archives, author page, etc. This means that users will load the full articles including all the images when they view your homepage or archives. This slows down these pages significantly since you have multiple posts listed on each of these pages. Using excerpts you can show only the summary of an article instead of the full content. This not only improves the speed, it will also increase your pageviews. Another benefit of using excerpts is that you will can avoid Google’s duplicate content penalty. Take a look at WordPress Codex article on Using Excepts for more details. We all love to see more and more comments on our websites. Comments are a great way to engage users in a discussion and build a community on your site. However, as your site grows in popularity so does your comments. Posts with lots of comments will take much longer to load. When a user submits a comment this will run PHP process to submit the comment. Many users commenting at the same time can put intense load on your shared hosting server. Using a third party commenting system like Disqus, LiveFyre, and Facebook comments can help you deal with this issue. These commenting systems load asynchronously and only when a user scrolls down to the comment area. WordPress stores all your data in a MySQL database. If you are running a WordPress site for sometime, then your database will gather lots of data that you don’t need. For example, your WordPress post revisions, spam comments, orphaned tables created by plugins you no longer use. Some experts argue that the database clutter has no impact on site’s speed. However, there are some experts who argue that this clutter can slow down your MySQL queries. There is no downside of optimizing your WordPress database tables. Even if it doesn’t improve your site’s page load speed, it will still decrease your database backup size. WP-Optimize is a WordPress plugin which helps you optimize and cleanup your WordPress database. DDOS attacks (Denial of service attacks) are a common occurrence on the web. Shared hosting servers often get attacked by these malicious attacks trying to bring down services or to gain control of the servers. For a site owners fighting with these kind of attacks is quite difficult. They simply don’t have the resources and technical knowledge required to deal with these attacks. CloudFlare provides a CDN and a firewall to protect your website from DDOS attacks and MySQL injections. It can also show a cached version of your site to the visitors when your site is temporarily inaccessible. Videos are the most engaging content form. WordPress users can easily embed videos from YouTube, Vimeo, and other video hosting sites. One problem with video embeds is that usually your site loads faster than the video player. Lazy Load for Videos is a WordPress plugin which replaced the video player with the video thumbnail and a clickable play button. The video player is loaded only when a user clicks on the play button. This is a highly recommended tweak for sites that curate video content. Make sure that your social sharing plugins are asynchronously loading social buttons. Most popular social sharing WordPress plugins have this setting. Some plugins have it enabled by default, while others require you to enable it manually. We recommend using Share This and Add to Any WordPress plugins for social sharing. Both of them load your social sharing buttons seamlessly without affecting your page load. It may feel like a lot of work to optimize your WordPress site for speed and performance. Rest assured that you will not regret spending time on improving your site’s speed. The benefits far outweigh the time required to do all these things. Thank you, these tips are very helpful! So what kind of software or web applications do you guys use to test your website speed with? I found http://www.pingdom.com and http://www.giftofspeed.com already but I am looking for more in-depth analysis reports. Also, is there software out there for this? Thanks for your quick reply Michael, appreciate it very much. That’s a great site too, especially the analysis. It’s kinda what I was looking for. Thanks! As for reducing the page load requests, you can use “WP Asset Clean Up” (https://wordpress.org/plugins/wp-asset-clean-up/) to prevent specific scripts (.JS) & styles (.CSS) from loading on pages/posts and home page. Combined with Plugin Organizer and a caching plugin, it will make a huge difference in loading time. Good collection of tips regarding wordpress site speed up.